Experience tells me that sometimes we can learn more from failure rather than success. That is why when we first created Startup Panic, one of the first things we did was looking for a similar game in the genre with bad review scores. We categorized them and drew a conclusion that one of the things that could be fatal to an economic simulation game is when the game is not balanced. You could get away with average art, mediocre music, and so little mechanic, but you will never get away unbalanced gameplay. So, we thought, okay we will test the game ourselves, ask a friend, hire game reviewer, and will only release the demo in public when they say it’s balanced. We were wrong. It’s not easy. When we released our first demo, we paid several reviewers for testing and asked some of our friends to try the game. Some of them thought the game was too easy, and some thought it was difficult, and the rest said that the difficulty was just right. But obviously, it wouldn’t be wise….for economic reason and etc., etc. So we thought that we needed the exact number. 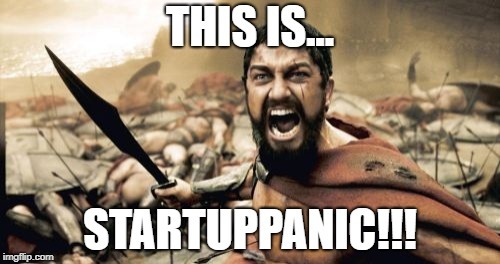 How many people had difficulty playing Startup Panic? How many people were able to finish our demo, etc. So we added analytics to our game. 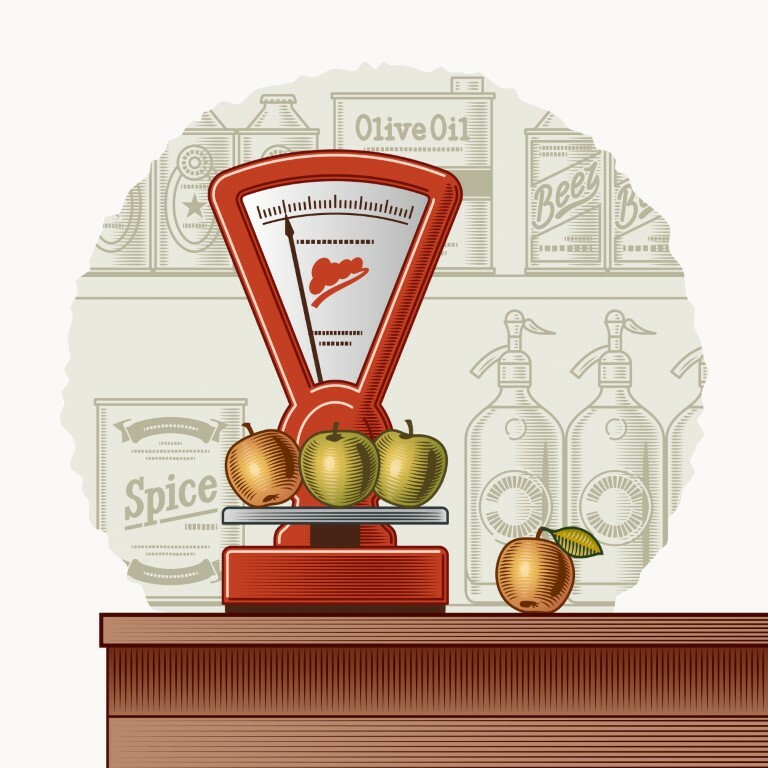 We built our own analytic with the consideration that we would have more power and flexibility to customize the report. The result? Now we could see more clearly how players experience Startup Panic. So here is the log of the latest player experience when playing Startup Panic: from three latest versions of Startup Panic. The easier the game, the more player able to finish the game. The result shows that we have successfully lowered the difficulty in the last version. 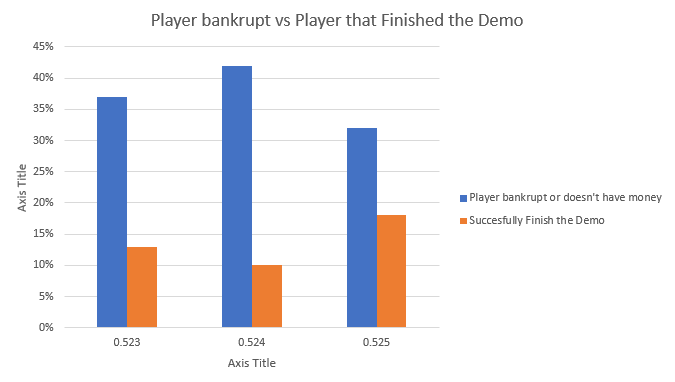 In the previous version, the players who undergo bankruptcy (or having cash less than $1000) is 42%, in the last version it is just 32%. We’ve also seen that when we lower the difficulty, the number of people able to finish our demo is also increasing. The question that we have now is whether 32% is too big a number for people with difficulty playing our game OR is it just the right number to make the game challenging?